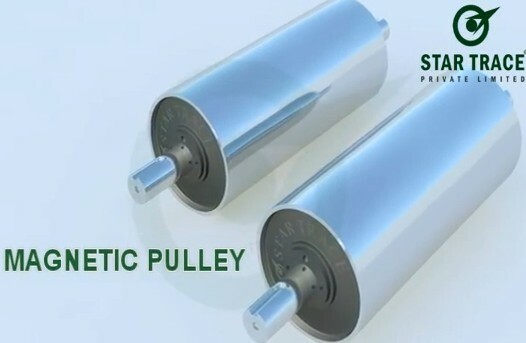 Magnetic Head Pulleys can be used to continuously separate tramp metal from a material flow such as biomass waste. As the material moves along the conveyor belt it enters the magnetic field where metal contaminants are held tight to the belt and the clean product discharges from the top of the conveyor. 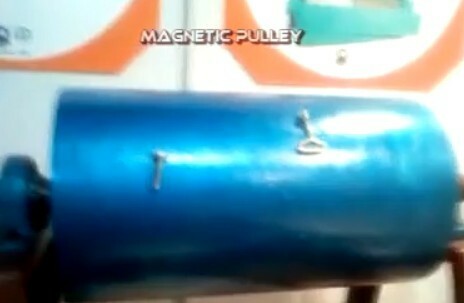 The metal remains on the belt until it exits the magnetic field under the belt into a chute or bin. The separation is automatic, continuous, and can be used in a biofuel process that uses waste feed. 1. "SBM | Belt Conveyor & Quarry Crusher & Mining Equipment." Conveyor Belt System Manufactuer. N.p., n.d. Web. 22 Dec. 2012. .